The Camp Nou stadium and museum tour is a once in a lifetime experience. You and the guys will have a blast! FC Barcelona have been one of the most dominant teams in all of European football for some time now… But where did they come from? What is their history like? 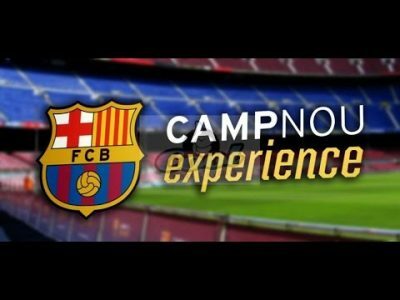 This tour of the amazing Nou Camp Stadium and Museum can answer these questions and make you an expert on FC Barcelona’s 120-years that have become footballing legend. This is a self-guided tour. This means you and the guys can really take your time and take it all in at your own pace! You can take as many pictures as you like throughout the experience and even purchase official photos at a variety of photo opportunities. If you do this you can claim high-res digital versions of the photos by putting your code into the official website. Please note that the opening times and availability for the Camp Nou Stadium and Museum Tour can vary depending on match days, but this is something that we can definitely discuss with you and work around to find the best possible solution for you and the lads!